Audrey Schulz’s last hurrah? I think not. When I put out an invitation to Kentucky Crafted artists to exhibit at the Governor’s Derby Celebration in downtown Frankfort, I quickly got a response from Audrey Schulz. She indicated that she would like to participate and it might be her last hurrah. This got me worried because I thought this wonderful artist who has been making soft-sculpture horses since the early 80s was quitting. I knew Audrey had been involved with the Kentucky Crafted program since I came to work for the Kentucky Arts Council in 1994 and had been a part of the program (formerly Department of the Arts, Crafts Division) at its inception. 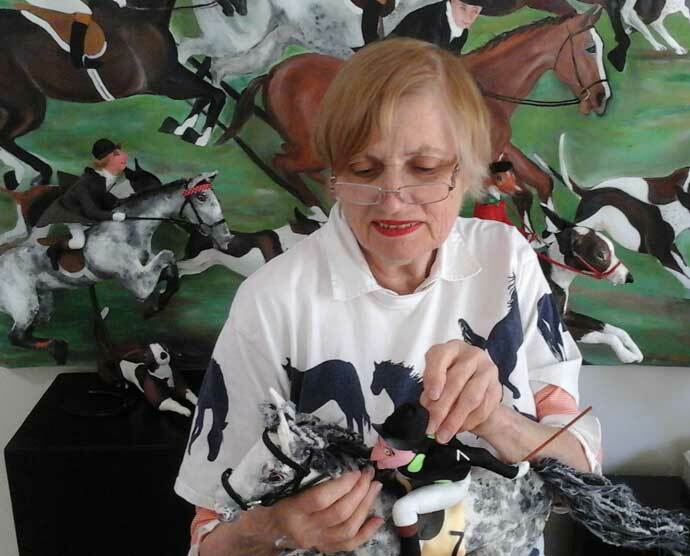 A telephone conversation with Audrey allayed all my fears and convinced me that this 84-year-old artist will probably be painting horses and creating soft-sculpture animals for another 20 years. When I told her how remarkable it is that she is still working at her age, Audrey said, “I never thought of age.” She firmly believes that creating artwork and being active are the keys to health and longevity. Every day I come to work, I am reminded of Audrey Schulz. My office is right across the way from the Kentucky Department for Travel and Tourism main reception area. 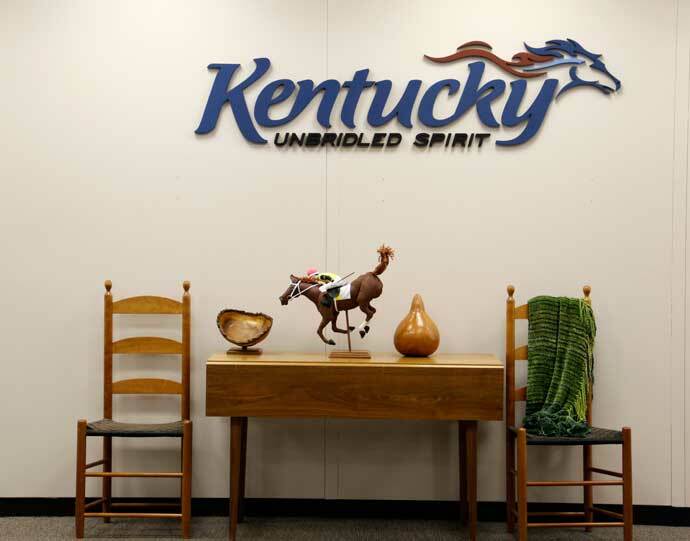 Proudly displayed among a number of Kentucky crafted items is Audrey’s galloping thoroughbred ready to run in the Kentucky Derby. 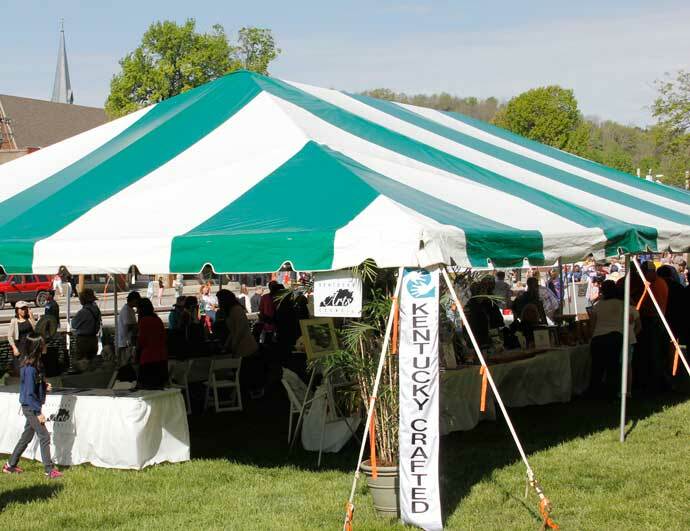 Be sure to come to the Governor’s Derby Celebration in downtown Frankfort, May 2, 2015, 9 a.m. – 1 p.m. Audrey Schulz will join nine other Kentucky Crafted artists in the Kentucky Arts Council’s sales tent on the Old Capitol Lawn.